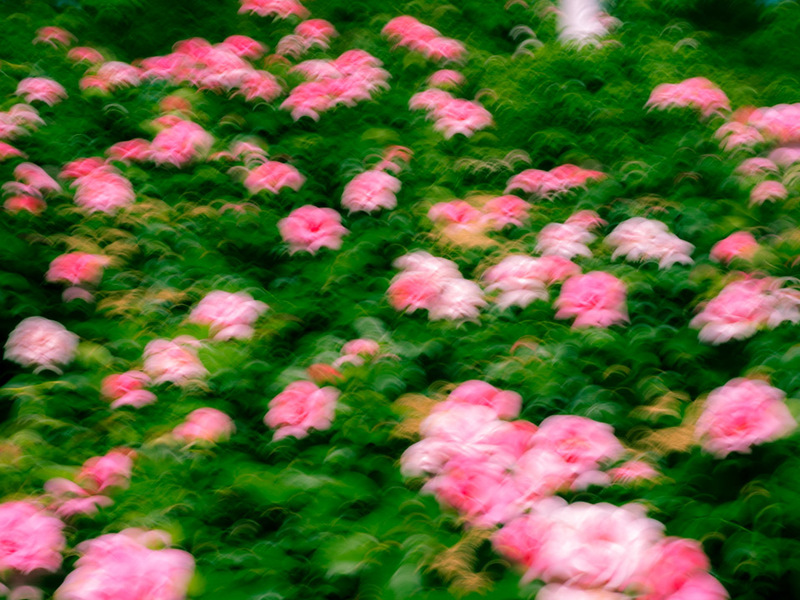 Travis Chau's Blog: Flower Friday "Garden of Roses"
Just before anyone comment of the blurriness of the photo. It was like that on purpose. Yes this is an impressionist painting not a photograph. Oh that's how I feel anyway. I've done this in camera with no Photoshop. Yeah, I know you could take a sharp photo and use the filters in Photoshop to make a photograph become paintery like. When I first tried out those filters, I said to myself, that was fun. But when I experiment with paintery looks in camera, now that's really fun. With this techniques, you're get 1 keeper out of 100 shots. The blurs might not be what you want or it is too much and it's become too abstract. Experiment with shutter speed, try it out at 1/30 or 1/15. Shake the camera, warning this might break the mirror in your DSLR and your camera become mirrorless. Another camera movement is "Z", you might not have enough time to do the full "Z" so lower you shutter speed even further. Try it out let me know how you go. You've might get hook on this techniques and never take the flower photograph the same. Please take the sharp photos first and start to experiment with blurs.